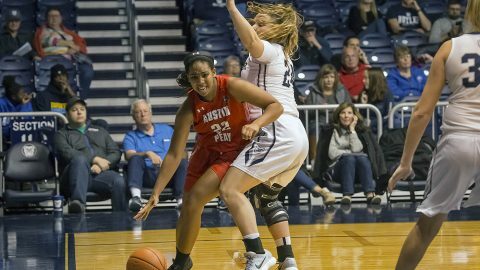 Indianapolis, IN – After fighting a four-quarter battle in Hinkle Fieldhouse, Austin Peay State University women’s basketball team dropped its season opener to Butler, 75-54, Saturday night. 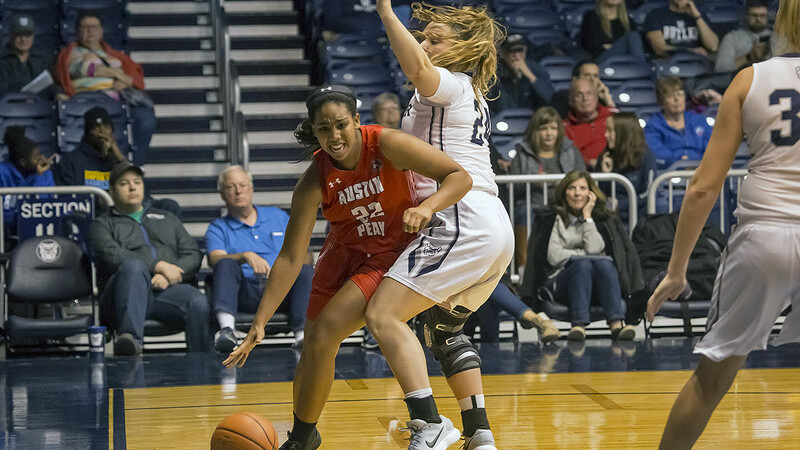 The Governors held their own in the first quarter as their defense inside, led by freshman Kelen Kenol and senior Brianne Alexander, forced Butler to look elsewhere for their points. 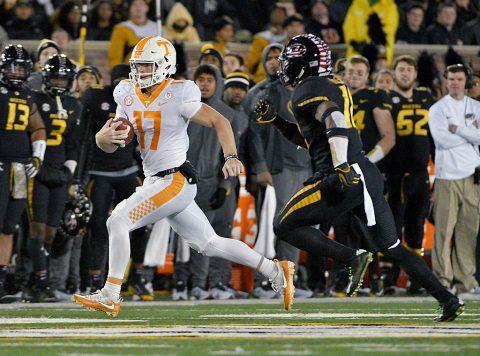 Columbia, MO – The Tennessee Volunteers dropped their final road SEC game of the season, 50-17, on Saturday night to Missouri as true freshman quarterback Will McBride made his first career start for the Big Orange. Tennessee (4-6, 0-6 SEC) now holds a 2-4 all-time record against Missouri (5-5, 2-4 SEC), including a 1-2 record in Columbia. In his first start, McBride completed 16 of 32 passes for 139 yards and rushed for 63 yards on 14 carries. He’s the first Tennessee quarterback to lead the team in rushing yards since VFL Joshua Dobbs ran for a team-high 118 yards against Nebraska in the Music City Bowl on December 30th, 2016. 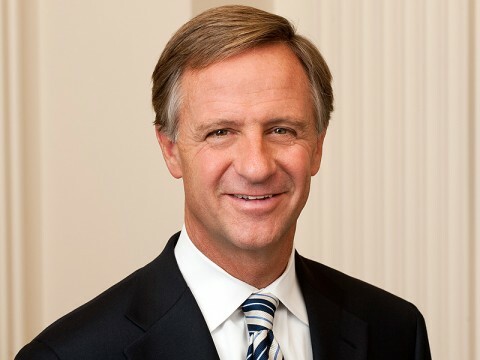 Nashville, TN – Tennessee Governor Bill Haslam joined Tennessee Department of Veterans Services Commissioner Many-Bears Grinder and Major General Terry “Max” Haston from the Tennessee Military Department to recognize six veteran state employees and more than 474,000 Tennessee veterans of all ages and eras. The Governor’s Veterans Day event was held at the Tennessee Tower Plaza in downtown Nashville. Morehead, KY – Austin Peay State University outside hitter Brooke Moore scored 16 kills and the APSU Volleyball team clinched the 2017 Ohio Valley Conference regular-season title outright with a three-set (25-23, 25-20, 25-18) victory against Morehead State, Saturday afternoon at Wetherby Gym. 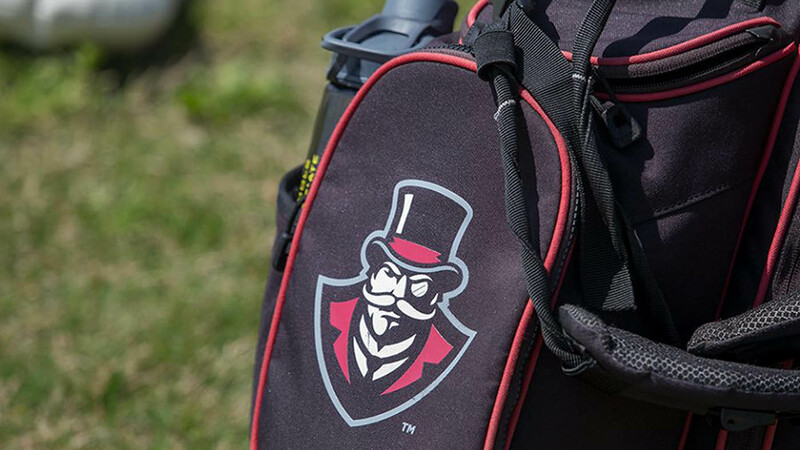 Austin Peay (27-5, 14-2 OVC) did not trail in the matches first two sets, though they did have to fend off late Morehead State rallies in each frame. 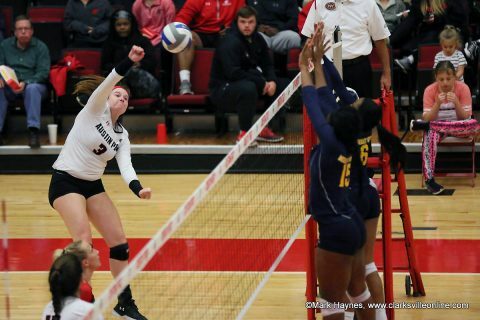 Austin Peay Volleyball freshman outside hitter Brooke Moore had 16 kills in Saturday’s win at Morehead State, Saturday. 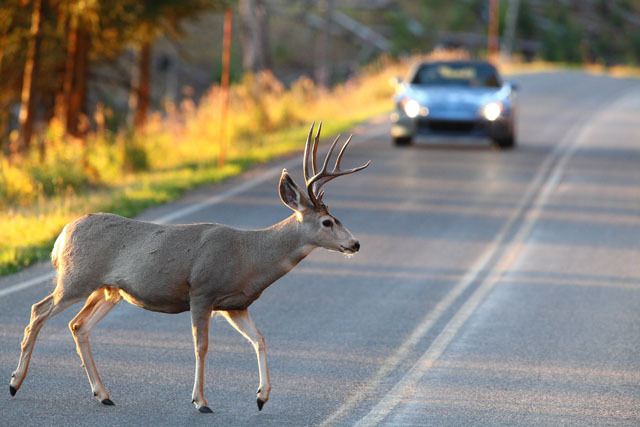 Nashville, TN – On October 25th, 2017 Trooper Russell Bernard of the Tennessee Highway Patrol (THP) was dispatched to an injury crash involving a vehicle that struck a deer. During the crash, the driver of the vehicle sustained life threatening injuries that required immediate action by Trooper Bernard. Trooper Bernard was advised by THP dispatch that a vehicle had struck a deer on I-40 in Dickson County. When Trooper Bernard arrived on the scene, he observed the driver of the crashed vehicle bleeding heavily from a large puncture wound on the left side of her neck. Tennessee State Trooper Russell Bernard saves the life of a woman after her car stuck a deer on Interstate 40 in Dickson County. 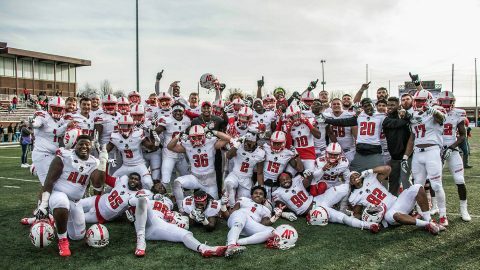 Richmond, KY – Trailing 24-7 in the third quarter, the Austin Peay State University football team rallied back with 24 unanswered points to down Eastern Kentucky 31-24, Saturday at Roy Kidd Stadium in Richmond, KY.
A heroic effort from both the offense and defense paced the relentless Governors, as their march towards an NCAA at-large playoff bid continues with the win. Clarksville, TN – Is this the year your beloved four-legged friend becomes a star? 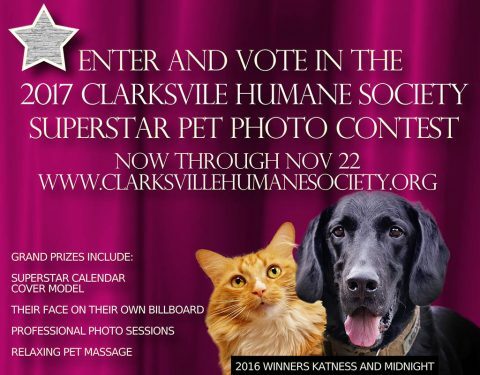 The Humane Society of Clarksville Montgomery County invites you to submit your pet’s photo to compete for the chance for incredible prizes and ultimate glory. Clarksville, TN – Austin Peay State University head men’s golf coach Robbie Wilson has added two Governors during the November signing period to his 2018-19 roster, with Micah Knisley of Jefferson City, TN and Jordan Rodriguez from Buford, Georgia set to usher in the next generation of Austin Peay golf. 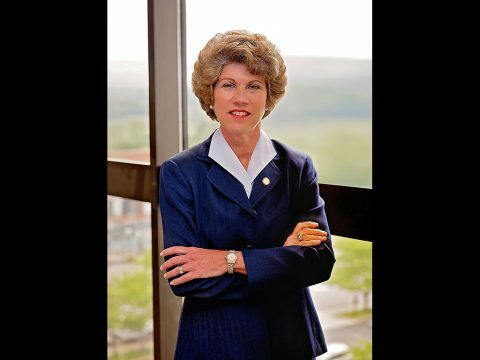 Clarksville, TN – I’m honored to serve as Mayor of the City of Clarksville, the home of Fort Campbell and a large number of military veterans. 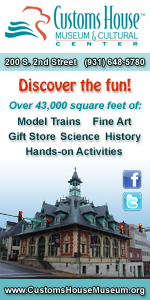 On Veterans Day, we honor all who have served in the U.S. Armed Forces and their family members. We take time to remember their dedicated service and the sacrifices they have made. Montgomery County, TN – The Clarksville-Montgomery County School System says research shows that if a parent or adult spends 20 minutes a day reading to a child, that child scores 90% better than their peers on reading tests. It exposes them to 1.8 million words a year. Clarksville-Montgomery County School System to launch Reading Campaign Sunday, November 12th.